Park Here: A stranger on the patch. A stranger on the patch. 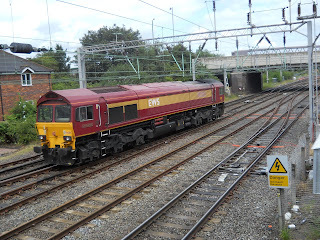 59205 L. Keith McNair, making an unusual sight around these parts, at Pleck Jcn on June 30th, running light from Bescot Down Yard to Crewe. I'd heard this one was about, I think it ran in light from Oxford. 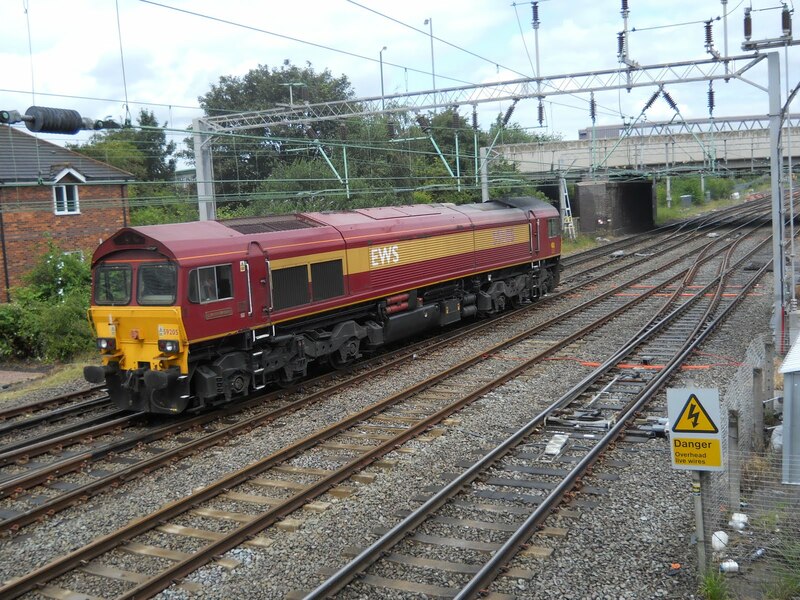 47799 was also tripped to Bescot recently from the south.